State League fixture now live! State League 2018 - Team Entries Now Open!!! 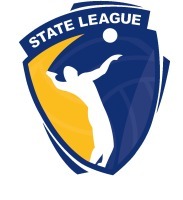 Expect a climatic ending to the 2016 Volleyball Victoria State League season when the competition's Grand Finals get underway on Saturday (20 August) at the State Volleyball Centre at Dandenong Stadium. Volleyball Victoria will be live streaming a number of State League matches during the 2016 season through the Volleyball Victoria YouTube channel. Congratulations to all the teams making the VVL Grand Finals this season. Players, coaches, referees, committees, volunteers, family and friends are invited to attend the annual VVL Awards Night. Come help the Monash University Volleyball Club as they celebrate 50 years! Come help the Monash University Volleyball Club as they celebrate 50 years! There are a range of events, sports and other activities which you can get involved in. Check out the Facebook Galleries of actions shots of the 2014 Season. More pictures of finals rounds to come…. The 2014 full season VVL fixture is up online! Volleyball Victoria would like to thank all clubs that have entered teams for the 2014 VVL season.